When Zach Bogosian went on Twitter and saw the devastation Houston suffered after Hurricane Harvey struck in late August, he felt compelled to do something to help. And that’s just what he did. As he scanned Twitter and saw the posts – words, pictures and video – detailing the destruction left behind by a hurricane that produced winds up to 132 miles per hour, the Buffalo Sabres defenceman was moved by what he read and saw. Bogosian turned to his Bogo Bunch Foundation, a nonprofit charity started by himself and his wife Bianca that helps families affected by cancer, to offer assistance to the people of Houston. "The money raised will go directly to the Houston Food Bank and will be used to provide food, water and supplies to children, families and seniors in the Houston area who have been affected by the storm," he wrote on the GoFundMe page dedicated to the initiative. As of September 12, nearly $12,000 has been raised. The 27-year-old, who has played 534 regular season NHL games, has received support from fellow NHLPA members, including past teammates. Bogosian’s former Winnipeg teammate Andrew Ladd, Buffalo defenceman Jake McCabe and Jets defenceman Jacob Trouba have all donated money to the cause. Launched in 2015, Bogo Bunch will continue to help those who are directly or indirectly affected by cancer. 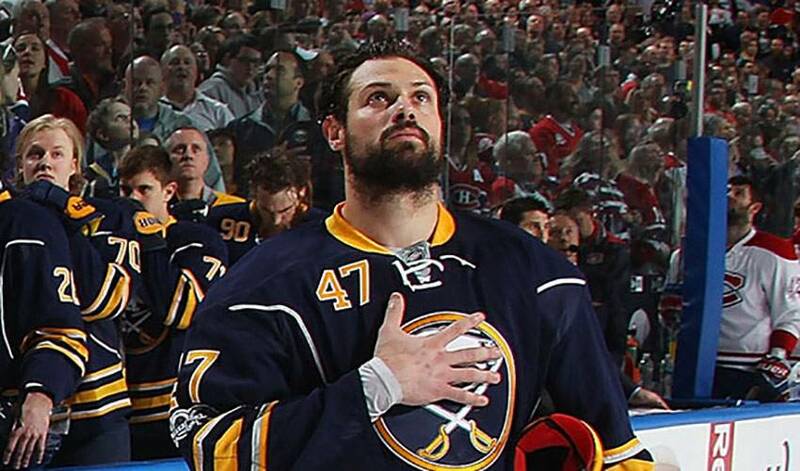 “I have a few things in mind for this year, things that are in the works, but I still have to make a few decisions about,” said Bogosian. “I think it’s going to be a big year for us. The foundation is growing, especially in Buffalo. I’ve also talked to people outside the city who are hearing about it and they’re interested in wanting to help out.